Better sound. Better feel. Delivered right to you. and delivered with musicians like you in mind. the world is proud of you. new favorite stuff in it. All MRB gear is 100% biodegradable. When it’s time, stick ‘em in the ground! Then open up your next box, guilt-free. All MRB gear is made out of the fastest-growing and most renewable plant on the planet - bamboo grass. Ever seen a skinny panda? Didn't think so. Let's face it, deforestation is dumb and that plastic mountain in the ocean is terrifying. Warm strums. Pure cymbal tone. Like hugs for your ears. Like a toddler's grip on a juicebox. Yep. 100% biodegradable. Awesome in both life and afterlife - like Obi-Wan Kenobi. You can trust that MRB will be MRB. 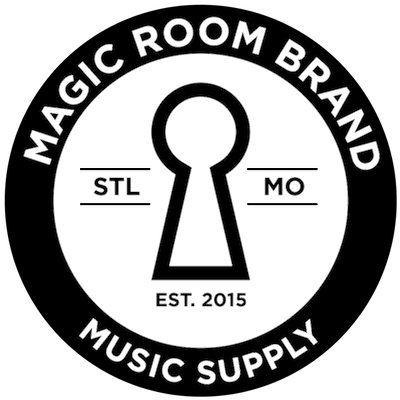 This is the heart of Magic Room Brand, for reals. MRB is always looking to refine, create, and build. This is all about you so keep in touch . We got this. MRB gear is built to sound amazing - first and foremost. It's what artists use to improve the world, so it's a big deal. Designed and crafted with the same care you put into every beat, every note. It also happens to be 100% biodegradable which is pretty rad. Making music is hard enough. MRB is behind the scenes making sure you have what you need, when you need it. You can add items or skip a shipment anytime. So lay back on that beat and MRB will do the rest. YEP. GET IN ON THIS!